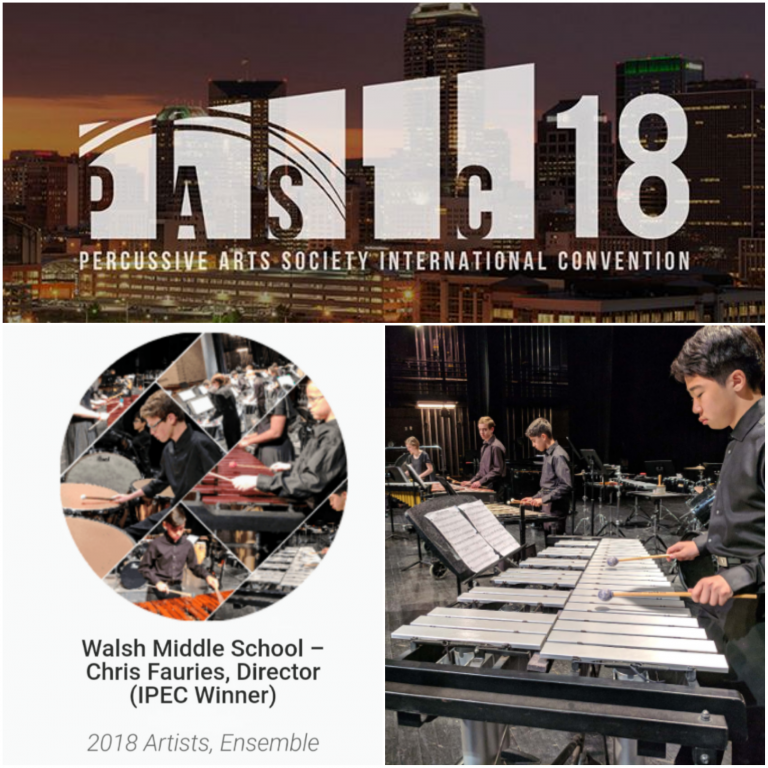 Congratulations to the Walsh Percussion Ensemble and Mr. Chris Fauries for being selected as the middle school winner of the International Percussion Ensemble Competition! The Walsh Percussion Ensemble will perform at the Percussive Arts Society International Convention (PASIC) in Indianapolis in November! Each year, only one middle school group is chosen to perform at this prestigious event. RRISD Fine Arts is proud of Walsh students for their hard work and dedication.